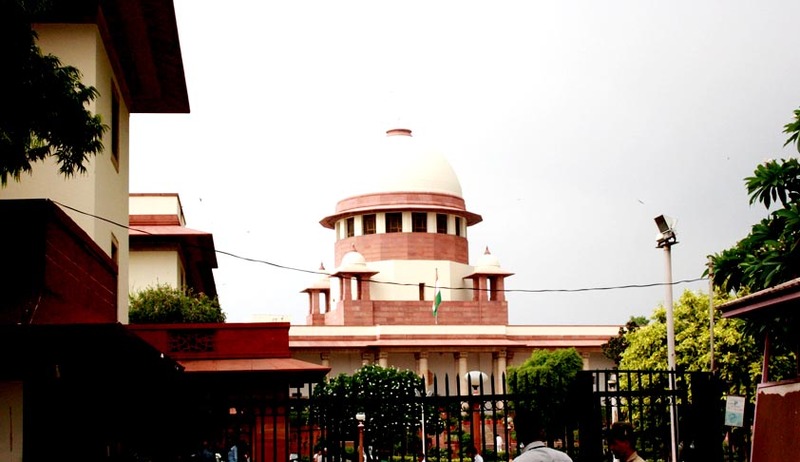 The Supreme Court (SC) heard a petition in the nature of Public Interest Litigation (PIL) filed by a group of farmer bodies against the re-promulgation of the Right to Fair Compensation and Transparency in Land Acquisition, Rehabilitation and Re-settlement Amendment Ordinance (Land Ordinance) on the ground that it was ultra vires the Constitution. Upon hearing Senior Advocate Indira Jaising who appeared for the petitioners, the SC issued notice to the Central Government on the question of validity of re-promulgation of the Land Ordinance by the President on April 3rd, 2015. The division bench of Justice J S Kehar and Justice S A Bobde also warned the petitioners that the petition may become futile in the near future if the Rajya Sabha passes and approves the land acquisition bill after it reconvenes on April 23rd, 2015. According to the petitioners, the way in which the Government got the Land Ordinance re-promulgated by proroguing the Rajya Sabha on March 28th, 2015 is a textbook example of blatant abuse of the President's power to promulgate ordinance under Article 123 of the Constitution. The petitioners were clear to state their intention that this incident is a complete fraud on the Constitution in the following words, "The government's decision was driven by the fact that the 2015 land acquisition amendment bill was sure to fall through in Rajya Sabha. Ordinance cannot be a substitute for legislative process for enacting laws. The government had not even indicated the extraordinary situation necessitating re-promulgation of the ordinance”. The Land Acquisition, Rehabilitation and Re-settlement Act, 2013 (Act of 2013) was passed by the Parliament on September 27th, 2013 and the UPA Government had notified it on January 1st, 2014. After the winter session of the Parliament in December, 2014, the Modi Government promulgated the Land Ordinance with an aim to incorporate certain amendments to the Act of 2013. The Lok Sabha passed the land acquisition bill on March 10th, 2015. However, the Houses of Parliament were adjourned on March 20th and thereafter on March 28th, the Rajya Sabha was prorogued. President signed and re-promulgated the Land Ordinance which the Cabinet recommended after including all the amendments that were introduced in the Lok Sabha. The bench has given the Central Government four weeks time to reply to the plea of the petitioners. Read more news about Land Acquisition ordinance here.